There’s nothing more uplifting than a gospel choir, especially one that often features the vocal gymnastics of a human beatboxer. 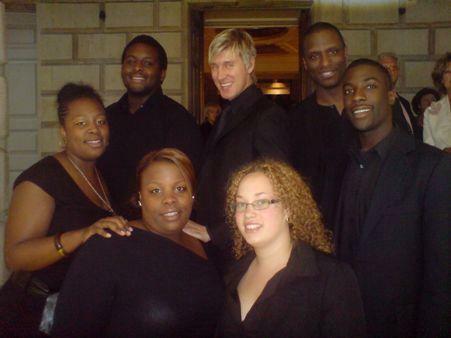 HB Soul are a unique London-based gospel-style choir who perform exquisite a capella standards and modern covers in variable line-ups. They were created to perform bespoke repertoires for Selfridges Christmas back in 2005, and have returned there every Christmas since. HB Soul members regularly work with artists such as Basement Jaxx, Corrine Bailey Rae, Elton John, Gorillaz, Lionel Richie, Billy Ocean and many more. Their principal beatboxer is Lianhart, who starred in the recent hit musical ‘Daddy Cool’ in both London and Berlin. HB Soul can perform songs from many genres, often bespoke created for the client. With this flexibility they can provide anything from stunning ‘centre-stage’ performances to gentle background singing. Please note that when a beatboxer is present the range of songs that can be performed by the human voice is much increased. HB Soul can provide solo singers, duos and trios. 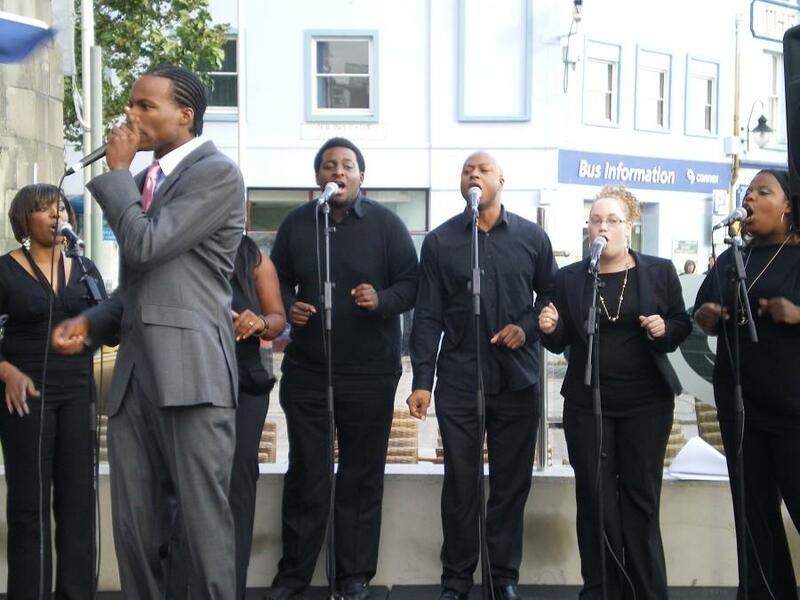 The choir, with or without a beatboxer, can be any size upwards of 4. For the optimum performance, they would recommend 7 members as this provides a good choral sound – 2 alto, 2 tenor and 2 soprano singers plus a lead. HB Soul are open to collaboration with other musicians, and can provide these upon request. For more traditional gospel-style music, a keyboard player can also be supplied. HB Soul can also provide backing singers for other artists. 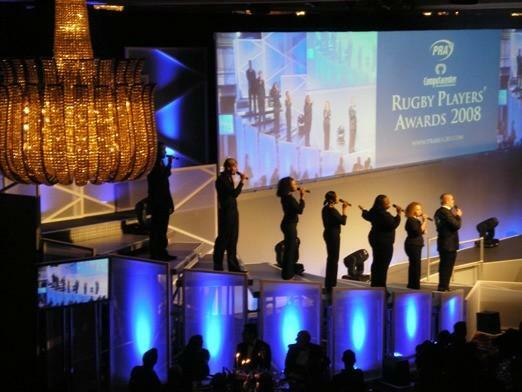 A PA system is not always needed, depending on the size of the venue, and the group are happy to perform either way. HB Soul perform in smart black attire. 2 x 20 minute sets or 2 x 30 minute sets. Beautiful, all on the mic, not an instrument in sight…I personally recommend them. We served HB Soul live and between courses at our Christmas Party and they were definitely a course worth waiting for. Truly amazing harmony which left everyone satisfied. They made our event special. 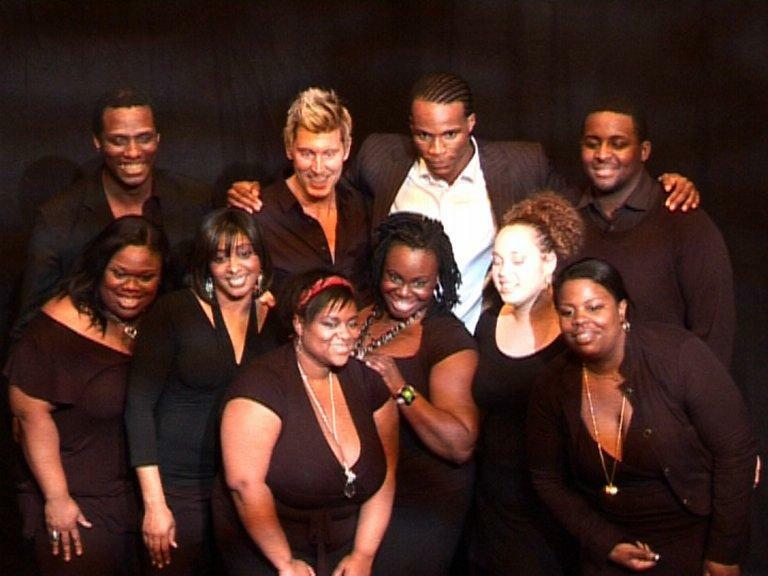 HB Soul performed in Selfridges on a number of occasions as part of our Christmas in-store music programme. They were a great band to work with, very talented and fresh, and their performances were thoroughly enjoyed by our shoppers. I would highly recommend them and hope to work with them again next year. Thank you all so much. It was fantastic – we loved it and the show’s had brilliant feedback. HB Soul went down extremely well with our guests. We had nothing but excellent feedback from many people. I think the highlight was during the first performance – our guests were entering the room to watch them perform and the picture was just amazing. Our guests were standing in amazement. Definitely the right choice for us! Due to HB Soul being a collective they have a large resource of known songs to draw upon, which are referred to as ‘standards’. The available choice of these depends on the collective knowledge of specific line-ups coupled with material. Also their song-arrangers often create bespoke cover material from many genres for many of their clients, but once done they often then add these songs to their list of standards.